For Bob, a 6-foot-4-inch tall frequent flier from Surrey, BC, legroom is not a matter of comfort, but of health and safety; it is even more so for Bob's 6-foot-11-inch tall son, David. Bob explains, "Having one's knees jammed against the seat in front is ... a pain issue for him at times." Bob and David are not alone. For a growing number of passengers, tallness is a fact of life. So is the shrinking of airline seats and the spaces between them. Yet, there is a difference between the two: while tallness is immutable, airlines have full control over the configuration of the seats on their flights. On its face, there is a simple solution: tall passengers should be seated in premium economy or business class seats, which have extra legroom. But who should pay for it? The tall passengers, for whom it may be a significant financial burden and a barrier to mobility, or the airlines, for whom it is a loss of revenue? it must not set unreasonable or unjustly discriminatory terms and conditions. 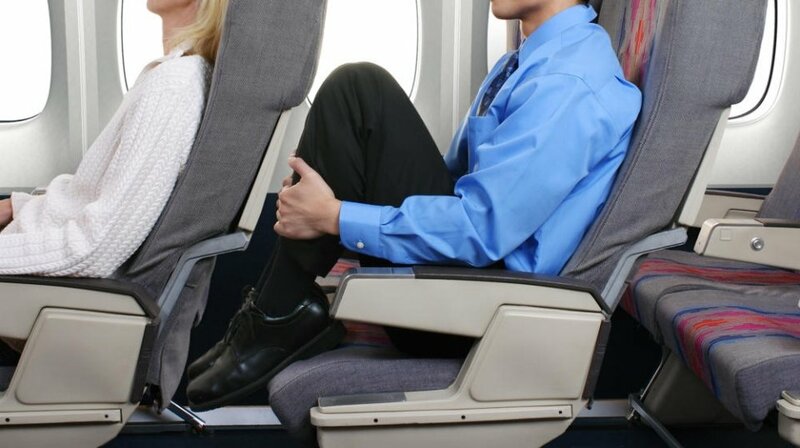 If the issue of tall passengers fits under either of these principles, then airlines may be compelled to provide tall passengers with extra legroom without an additional charge. For example, in 2008, the Canadian Transportation Agency ruled that on flights within Canada, airlines can charge passengers with disabilities only the price of one seat, even if they need multiple seats due to their disabilities. In 2012, the first attempt to force airlines to provide tall passengers with extra legroom without an additional charge failed. The Canadian Transportation Agency ruled that tallness was not a disability, and as such airlines have no obligation to “accommodate” tall passengers in the same way as passengers who need multiple seats. The Canadian Transportation Agency has never considered whether the practice of charging tall passengers for extra legroom was unreasonable or discriminatory. Airlines have full control over the configuration of the seats in their aircraft, and set their terms and conditions unilaterally, without considering the interests of passengers. Passengers come in various shapes and sizes. Airlines that offer transportation by air to the public must be willing and capable of transporting members of the public who do not significantly vary from “established statistical norms.” In particular, it must equip its aircraft with seats and spaces between the seats that allow for the transportation of such passengers. If a passenger who does not display “significant variation from established statistical norms” cannot be properly seated in an economy class seat, then the seat is unreasonably small, and the airline effectively fails to deliver the service that has been contracted and paid for, which is unreasonable. The effect of charging tall passengers who need extra legroom a premium price is that tall passengers are charged a higher fare than shorter ones, which constitutes discrimination based on immutable physical characteristics, and as such is prohibited. Finally, if the airline considers a passenger to be so tall as to constitute a “significant variation from established statistical norms,” then it is tantamount to recognizing the tallness of the passenger as a disability (see Johnson v. Air Canada, Decision No. 2-AT-A-2012), which the airline must accommodate. The practice of charging tall passengers for the legroom they genuinely need is unlawful, and could successfully be challenged before an impartial tribunal under the existing laws and regulations. Nevertheless, in light of serious concerns about the impartiality of the Canadian Transportation Agency, passengers are urged to exercise caution in bringing any matter before that body.